When you are tired of facing the so-called supportive world, the only place where you can actually feel relaxed and less stressed is your home. When a house oozes a sense of positivity, it really does wonders not only in psychological terms but also in a physical. People enrich the living area with the plants that can create a sense of peace, purify the air and absorbs the negative energy. The mere presence of plants improves the air quality and bring a fresh feel which takes you to the dream of resting in the lap of nature. Not only this, but indoor plants also increases the beauty of space where it is placed. With a source of positive energy, they can also be the best home decor too. So, if there is a housewarming occasion, then you can send flowers online along with these absolute green beauties to your loved ones. For all plant lovers, we have made a list of some indoor plants that will eliminate the negative vibes and bring all kinds of positivity at your home. When the freshness and greenery of plants welcome you, then we are sure that you will definitely be going to forget about all your worries and daily stress. 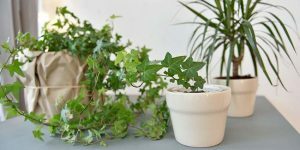 Read about the below-listed seven indoor plants which are well known for boosting positive vibes, increasing the flow of energy and many other advantages. When we talk about indoor plants, the first name that strikes in everyone’s mind is the Money plant. 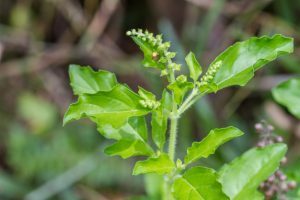 This plant is popular because of its countless benefits. Money plant (also known as Jade plant) is said to be good news plant which attracts good luck, fortune and prosperity. It boosts the oxygen levels and therefore brings a fresh feel to your home. It can be used for a home decor purpose as well as a medium for limiting the negativity and stress all around. When your home breathes good, then you will naturally feel fresh and energetic. Isn’t it? 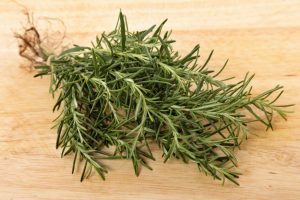 Rosemary is a plant with several benefits. It boosts the physical and mental health as it purifies the air by eliminating the harmful toxins and other kinds of impurities and keep your home fresh. It smells so strong that it improves memory, reduce depression and anxiety. It will uplift the mood and beauty of your space. A plant with numerous such advantages will be ideal to increase the beauty of your space. Bring Rosemary plant at your home and keep it in a sunny spot, but be careful not to over-water it. Here is another plant which is commonly known as “Tulsi.” The plant has many medicinal properties as well as other advantages which makes it the best plant to grow at your home. Basil plant purifies the air by absorbing the harmful gases from the environment. It requires regular sunlight, so it is advised to keep it at the sunny window. It emits oxygen for 20 hours and absorbs carbon dioxide & carbon monoxide. The high antioxidant quality of this plant eliminates the negative energy from the house and make your space breathe better. The Bamboo plant is a low-maintenance plant which has been used in Asia for thousands of years as a symbol of good luck, wealth, growth and success. You may have seen this plant inside the house or workspaces of the people. When a bamboo plant is placed in the right direction as per the Vastu, then the flow of energy increases at your home and a sense of positivity develop. 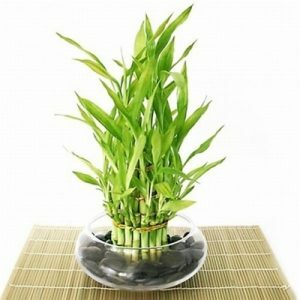 It’s a quick growing plant which regrows after cutting signifying a message “Never Give-Up.” Today, most of the online portal provides Bamboo plants which you can gift to your loved ones with ease. Thanks to fast online gifts delivery services provided by Winni, you can easily send this gift of luck to your loved ones on any special occasion. Aloe Vera plant is a great source of positivity. 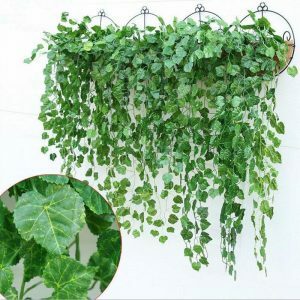 Actually, it is considered one of the best indoor plants which require a large amount of water, indirect sunlight and can be placed at any corner of your house to fight off the negative energy and bad luck. 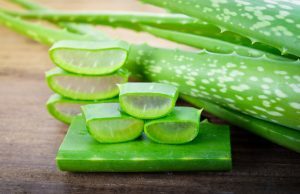 So, it is always suggested to place Aloe Vera plant in the passageways or the place where guests enter your house. Bring this beautiful plant into your home to help the positive vibes and happiness find its better way to your mind and heart. When we talk about the indoor plants, then English Ivy is considered as the most efficient air purifying houseplants and a beautiful adornment for a mantlepiece. But what makes it the best air filter? Actually, it takes away all the harmful contaminants or unwanted toxins from the air and gives you a safe and relaxed environment. The plant needs special care as it requires direct sunlight as well as enough watering to grow and look fresh. To create an aura of your home a safe, serene and stress-free, bring this plant and place it where it can grow properly. The name itself can define the actual properties of this plant. 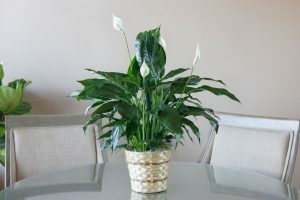 The Peace Lily plant is believed to provide a mental piece which everyone needs in today’s world. It basically improves the flow of energy and purifies the air by neutralizing indoor gases. This plant is also known as the harbinger of peace because it flows positive energy around the house. Do not keep this plant in direct sunlight as it grows well in the shaded or dark environment. 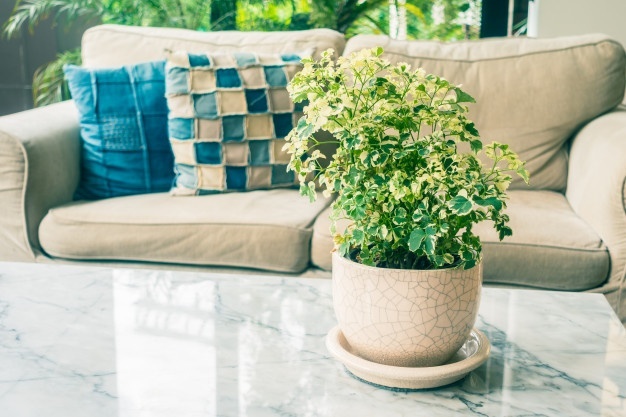 So, if you are wondering about bringing an indoor plant at your home then make your pick from the above-listed plants as they are best to make your home sweet home a better place to live and relax. We are sure that these green beauties will turn the aura completely into a positive and happier one.